SKU: 897025. 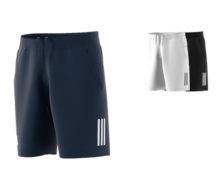 Categories: Men's Tennis Apparel, Nike. Dri-FIT woven full zip jacket. Loose modern fit through body, fully lined with lightweight mesh and angled side seamed pockets. Excellent for team travel as well as warm up/cool down. Paired with the woven pant creates a woven warm up to wear to and from any game or workout and during warmup and cool down. Best used as his final layer of sport and fitness. Embroidered Swoosh design trademark on right chest. Body width: 23.75″, Body length: 32″ (size large).